Friends of Mount Harmon, Inc. is a 501 (c) (3) non profit organization and depends upon annual contributions and support to operate, maintain and preserve Mount Harmon Plantation. Contributions fund Mount Harmon’s educational programming, keep its historic buildings and beautiful grounds kept up, and the plantation preserved for your enjoyment and for future generations. Thanks to the help and support of countless volunteers, members, sponsors, and contributors, Friends of Mount Harmon celebrates a new era of preservation and stewardship. Your continued support will ensure Mount Harmon is preserved for you, your family and friends, and for future generations. Join Now Calling all Friends – there has never been a better time to renew your membership or become a new member in Friends of Mount Harmon. Mount Harmon membership has great new benefits to help you explore and enjoy all that the plantation has to offer. Members can now enjoy our new network of nature trails and site map, to help explore the plantation’s pristine waterfront surroundings and points of interest. Admission to the manor house and nature trails is free for FOMH members! We depend upon your annual membership contribution to help maintain and preserve Mount Harmon. Membership helps to fund Mount Harmon’s educational programming, keep its historic buildings and beautiful grounds kept up, and the plantation preserved for your enjoyment and for future generations. Friends of Mount Harmon memberships are annual and begin with each new calendar year. Renewing your annual membership is one of the best ways to support and share in Mount Harmon’s history and scenic beauty. Click here to find the membership level that is just right for you and join in the fun at the plantation this year! Memberships at the $100 and up levels feature year round access to the plantation, and provide a wealth of opportunities to enjoy the plantation throughout the seasons. Upper level memberships include tickets to some of Mount Harmon’s popular annual events and the chance to host an event or party at the plantation – recently named one of Maryland’s most beautiful historic sites. Your membership is an investment in the future of this historic treasure. We look forward to seeing you this year at the plantation! Mount Harmon offers excellent corporate sponsorship and membership opportunities, which provide vital support for Mount Harmon and valuable exposure and benefits for area businesses. Corporate Membership benefits include access to Mount Harmon for corporate meetings, retreats and special events. Most importantly, memberships are tax deductible and help to preserve and maintain Mount Harmon Plantation. Corporate Special Events Sponsorships provide the underwriting that turns our events into successful fundraisers. 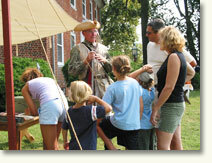 Mount Harmon offers an array of Special Events Sponsorship opportunities for its annual events, which celebrate Mount Harmon’s colonial history, plantation hospitality, and Eastern Shore Traditions. For more information about Corporate Membership and Sponsorship opportunities, please contact FOMH at 410-275-8819 or via e-mail at info@mountharmon.org.